We are driven by a passion to improve the entire search process. We at BSG believe that great businesses are run on people. Talent is the lifeblood of business. And almost all of our clients have a business context that requires what we call the “builder-leader” profile. We do business. We KNOW business, not just headhunting. We believe that to do really effective search you need to get business and headhunting. This isn’t just generic business that many search industry generalists espouse. Rather, it’s industry specific knowledge—of vertical industry sectors like SaaS software, the for-profit education industry sector, healthcare technology, business process-outsourcing sector, and the manufacturing and retail sectors. These are just some of the industry verticals in which we claim deep contextual business knowledge. We do relationships. Rather than one search wonders that feel more like one night stands, we want to be your trusted talent adviser and not an occasional supplier. And through these relationships we build a deep understanding of what success looks like in your business, and which candidates both will and will not be accretive to your business and its goals. Two out of three searches on which BSG has been retained have been for leaders for private equity-backed businesses. Special areas of BSG deep expertise chronicle many of the recent areas of innovation in both hardware, software and Internet sectors. A track record that includes more than 300 senior-level searches for companies big and small, public and private, for–profit and not–for–profit, at the VP level and above. Along with C–level and VP-level focus, BSG Team Ventures includes in its practice area specialties its board search practice. Our manufacturing and consumer practice spans highly innovative offerings such as semiconductor laser offerings and specialized automotive materials through to traditional industries such as packaging and building products. One of the larger new practice areas for BSG in the last 7 years has been Energy, and specifically its related CleanTech subsectors. Our sciences practice areas span health services, life sciences, healthcare IT, nanotechnology, medical devices and equipment and beyond. Our VC executive searches span pre-seed, Series A, B and C companies across the US and UK. “BSG filled the CEO position with an excellent candidate in an extremely short time period, and more important, this candidate turned out to be a world class CEO with extreme market knowledge and experience that was unique to our company." "This is another confirmation that you really have your client's interests at heart. If I haven't said it lately, I'm a fan of yours - you've done really well for us." "The tools that BSG used helped them understand our culture. No other search firms we talked to used them. 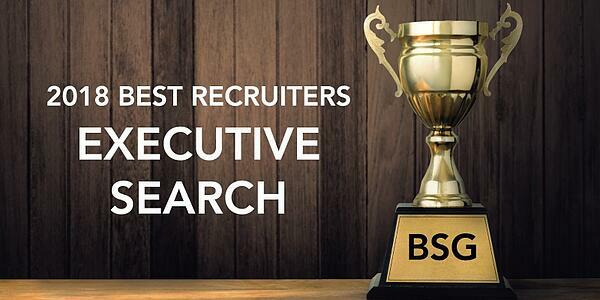 Also, BSG has a unique process that allowed us to get to know the candidates more quickly, a very efficient way to do so. BSG was very professional, we felt we were in good hands. They sourced a lot of good candidates relatively quickly." For the 6th year in a row, Dr. Allen Sinai joins BSG to discuss upcoming economic predictions for 2019. Get to know "Who is BSG"?